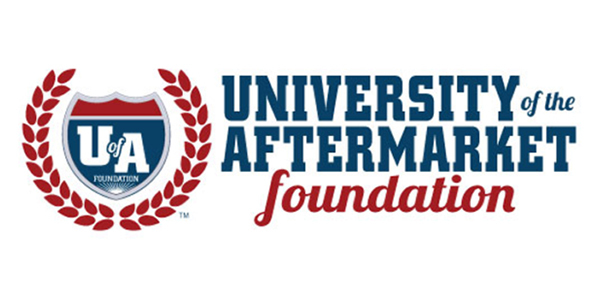 The University of the Aftermarket Foundation (UAF) announced 2018 scholarship results as well as new plans for 2019 during a press conference at AAPEX, Tuesday afternoon. In 2018, the foundation received 635 complete scholarship applications and awarded 302 scholarships for a total of $450,100. Fourteen of those scholarships were awarded to veterans. The largest award was once again the Women in Auto Care Scholarship. Christina Schneider, an Automotive Technology student at the College of the Desert in California was awarded the $10,000 scholarship. In addition, Schneider received a $1,000 scholarship from CAWA. UAF awarded five $5,000 scholarships this year and many more up to $2,500. Students training to become technicians were awarded the majority of the 2018 UAF scholarships. Of the 65 percent student technician scholarships, UAF awarded a total 145 mechanical technician students, 11 collision repair students and 33 diesel and heavy-duty tech students. Other scholarships were awarded to students majoring in a four-year business, accounting, marketing, or communication program; four-year engineering students; and undecided students. Scholarships were awarded to more than 130 secondary institutions, with the most popular schools being the Universal Technical Institute, University of Northwestern Ohio, Auburn University, Lincoln College of Technology, and Northwood University. In addition to scholarship information, UAF discussed plans for 2019. New in 2019 will be the student “prospect” database where teachers and others who visit automotive schools can ask students to “text your name and email address to 720-903-2206” to receive a text reply with a link to the scholarship website. The Auto Care Association also has done a major IT conversion to comply with the new personal data protection regulations in the European Union. This includes only accept application from US and Canada using user’s IP address to locate them. Pete Kornafel, Scholarship Committee co-chair, also welcomed Danielle Sonnefeld as Scholarship Committee co-chair. In this role Sonnefeld will partner with Kornafel on the “prospect” database project and overall scholarship program administration. 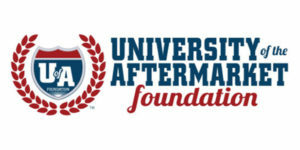 For more information about UAF, visit automotiveschoarships.com.